Mojave introduced some interesting contextual editing features to Quick Look. Quick Look was already handy for viewing disparate types of files in the Finder by pressing the Space Bar while a file was selected. Now, depending on the type file being viewed in Quick Look, various editing widgets will be made available. I was very surprised when Apple first demo’d Quick Look in Mojave and saw that audio editing was a possibility. 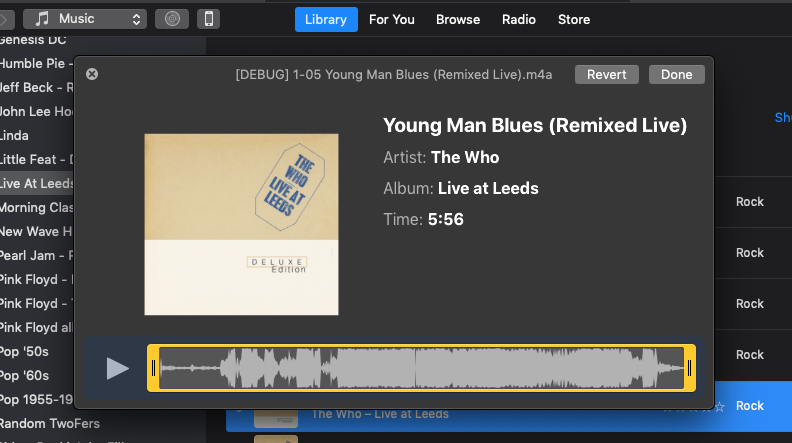 Albeit, it’s just simple trimming—that is, audio can be removed from the beginning and/or ending of an audio file—but it might prove handy. A few years ago I posted an AppleScript wrapper for the qlmanage command line tool, called Have a Quick Look. 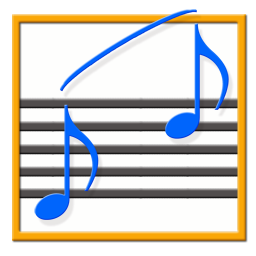 It allows you to select a track in iTunes and display a Quick Look panel of the selected track’s file. A trifle, really. Optimally, this sort of editing should be done with a Real Audio Editor. But if you’re just fixin’ Voice Memos (which can be added to iTunes by dragging from the Marzipan Voice Memos app) or something like that, I suppose this could be helpful.